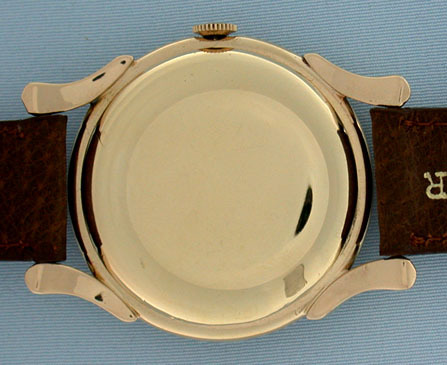 Fine IWC 18K gold vintage wrist watch circa 1960. 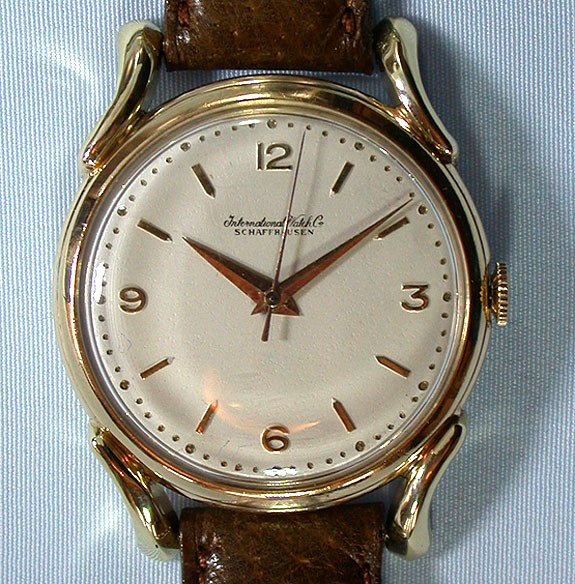 Refinished dial with applied gold indications and gold hands. 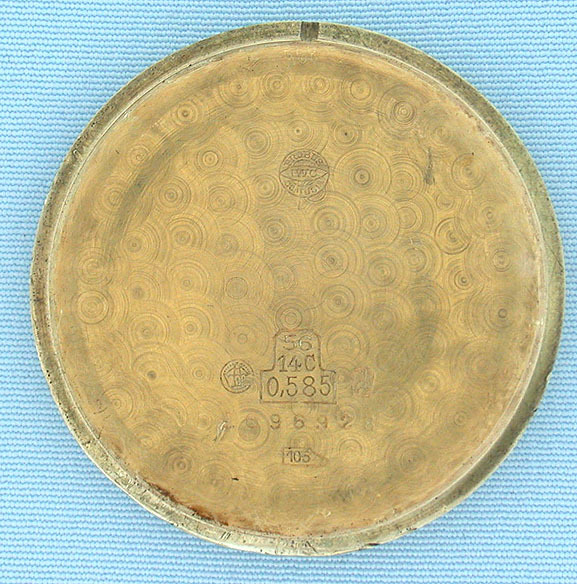 The case with teardrop lugs. 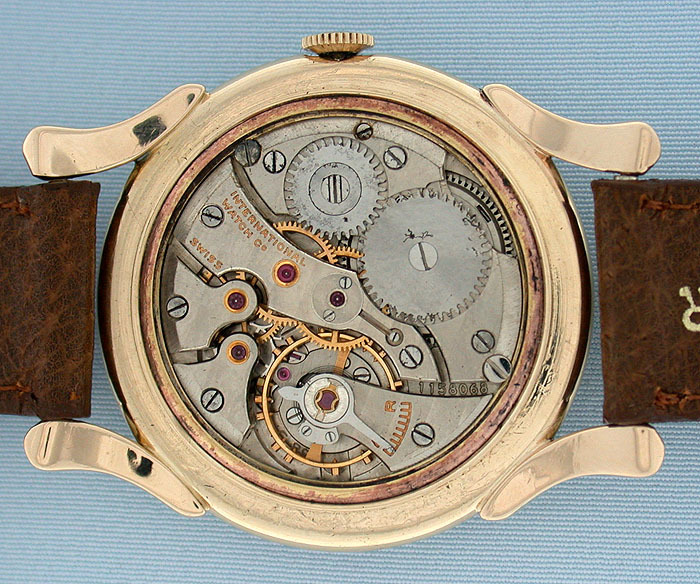 Calibre 89 rhodium 17 jewel movement with shock protection.